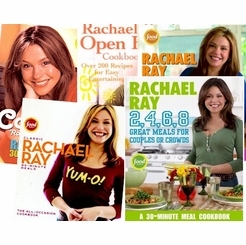 Rachael Ray appears daily on the Food Network as host of 30-Minute Meals, $40 a Day, and Inside Dish. She is the author of eight bestselling cookbooks, most recently Cooking Rocks! and Cooking ‘Round the Clock.